Preview 3 of the Android N Developer Preview is already beta-quality. Android N includes Multi-window, Direct Reply from notifications (via RemoteInput API from Android Wear), Bundled notifications, Java 8 support, Doze improvements, JIT Compiler, Vulkan, and more. Developers can try the preview, the updated SDK, system images, and tools from developer.android.com/preview or via Android Beta. By enrolling devices to Android Beta, they can try pre-release Android versions and automatically receive OTA updates as soon as they are available. 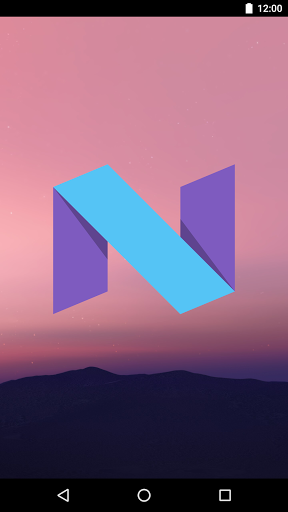 Android N also provides high quality mobile virtual reality (VR) experience. You can use a Nexus 6P with N Preview 2 to setup a Daydream Development kit (as a headset phone). Daydream is Google's new platform for low-latency, immersive, and interactive mobile VR. A big update to Android Studio was announced at I/O. This includes the New Layout Editor and Constraint Layout, Layout Inspector, Firebase Plugin, Expanded Android code analysis, Code Sample Browser, Espresso Test Recorder, APK Analyzer, Merged Manifest Viewer, and Enhanced accessibility. There's also Enhanced Jack compiler with Java 8 support and Expanded C++ support with CMake and NDK-Build. Android Studio 2.2 is available for download in the Canary Channel. The biggest update to Android Wear, Android Wear 2.0, was announced at I/O. Android Wear apps can now be standalone. There are also a number of UI changes: complications, keyboard and handwriting input methods, new notification templates. Android Wear 2.0 also include improved Google Fit platform, support for Android N, and Material Design guidelines. You can try the Android Wear 2.0 Developer Preview at http://g.co/wearpreview. Android apps that are in open beta but aren't in production yet will soon appear on search results on Google Play and users will be able to opt-in from there. There will also be a new featured section called Google Play Early Access for these apps. Some of the other Google Play announcements include Pre-launch report (summary of issues found on a wide range of devices when alpha/beta testing your app on Firebase Test Lab for Android), Review benchmarks, review topics, Reply to Reviews API, User acquisition data by country and (soon) benchmarks compared to similar apps), and Pricing templates and price rounding. To get your Android apps or games ready to meet the needs of billions of Android users globally (especially to those in emerging markets), they have released Building for Billions Guidelines and The Building for Billions Playbook. Two new Play apps have also been announced: Google Play Developer Console App and Playbook by Google Play (in beta), where you can learn about the latest Android features, tips, best practices that will help you develop and launch your app, engage and grow your audience, and earn more revenue on Google Play. Instant Apps allow users to run Android apps without installations from search, social media, messaging or other deep links. It is compatible with all Android devices with Google Play services and running Jellybean (4.1) or higher. You can learn more about Instant Apps at http://g.co/instantapps . Google Play Services 9.0 include update to Ads, Nearby API, Player Stats API, and Video Recording API. Chromebooks will soon support the Google Play Store and Android apps. You can update your app so that it will be available on Chromebooks. You can read more about how to optimize your Android apps here. Videos of Android-related sessions are already in YouTube. You can check this Playlist for these videos. There are also various codelabs for Android, Android Auto, Android TV, Android Wear, and more.